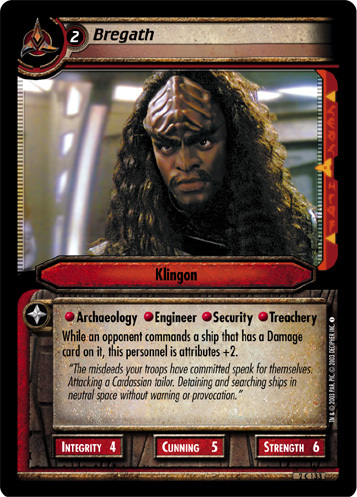 When you play this personnel, if you command Kahless, you may draw a card. 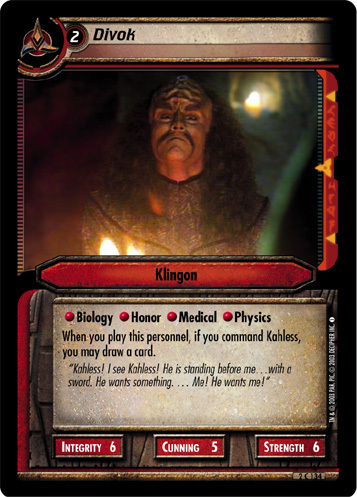 "Kahless! 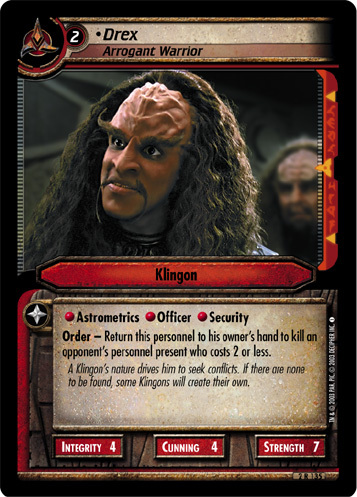 I see Kahless! He is standing before me...with a sword. He wants something. ... Me! He wants me!" Image Source: The Next Generation: "Rightful Heir"